Delicate pink roses crown a stunning bouquet of gardenia and primrose. Beautiful. 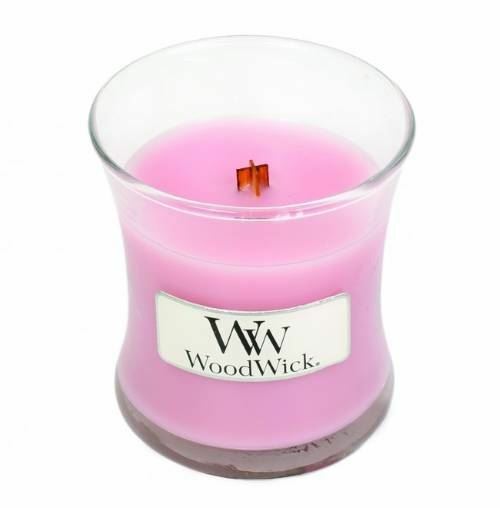 Medium Hourglass Woodwick® Candles complements your home with a soft crackle and inviting scents. The patented PLUSWICK® technology in the Woodwick Medium Hourglass Candles features a natural wooden wick that is designed to Crackle as it Burns™. Featuring the recognisable Woodwick hourglass shape, and available here at Candlewarehouse.ie in over 40 fragrances, these candles help take your home décor to a new level.